We virtually met with Lizelle van Vuuren first when we came across her tweet about Fleep. After a short discussion with her it was obvious that we’re dealing with an inspiring entrepreneur who loves startups, tech, design and has made her mission to change the world for women in startup scene through her organization Women Who Startup. But enough about our point of view on things, we’ll let her share the full story with you instead. Who are you, Lizelle, and what do you do? I’m an entrepreneur living in Denver, Colorado (South African born and raised). I’m a startup entrepreneur and a growth marketer. I love to find new ways to launch ideas, grow startups, build communities and create impact. How did you find out about Fleep and what do you use it for? 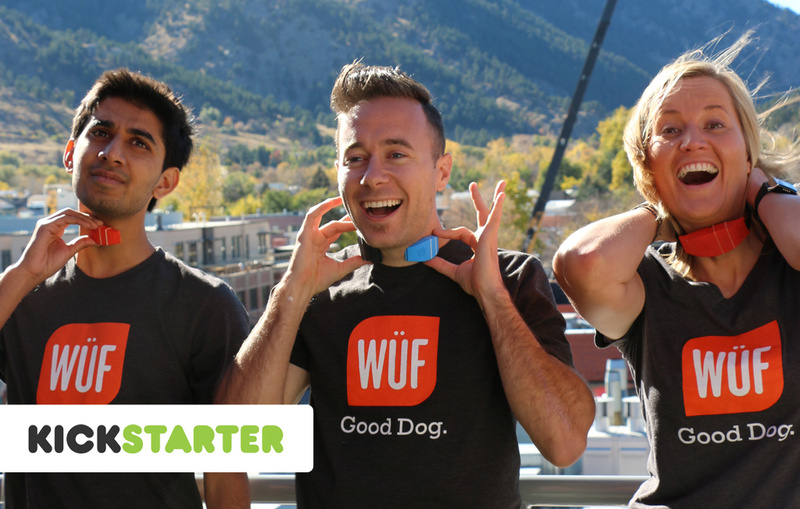 I was first introduced to Fleep when I started to work on a new startup company called, WÜF – wearable technology for dogs company. We were a team of 7 and we were located all over the world. Sean and I were in Colorado but we have team members in Pakistan, Paris, Chicago and Boulder and Denver. To find a means of communication that would fit us all I did some research on communication platforms and came across Fleep. Lizelle (on the right) with some of the WÜF team members. From the left: Azmat, who lives in Pakistan and Sean, who resides in Boulder where the photo was also taken. We communicated on Fleep around the clock while working on the successful Kickstarter campaign I helped them launch in the end of 2014. For the time being it was our lifeline, and I loved it. Although we gave Slack a try it just didn’t cut it in comparison with Fleep which was simple and easy to use. I run Women Who Startup, an organization I started to empower female entrepreneurs to have a powerful community and resources to startup. I work with contractors, partners and sponsors and the number of people varies every month. Women Who Startup community gathering. 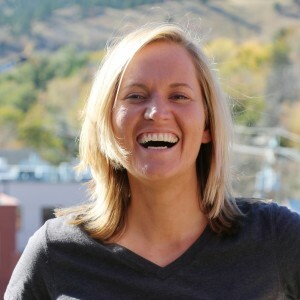 Lizelle uses Fleep to stay in touch with partners, sponsors and contractors who help her build the Women Who Startup organization in Denver, Colorado. 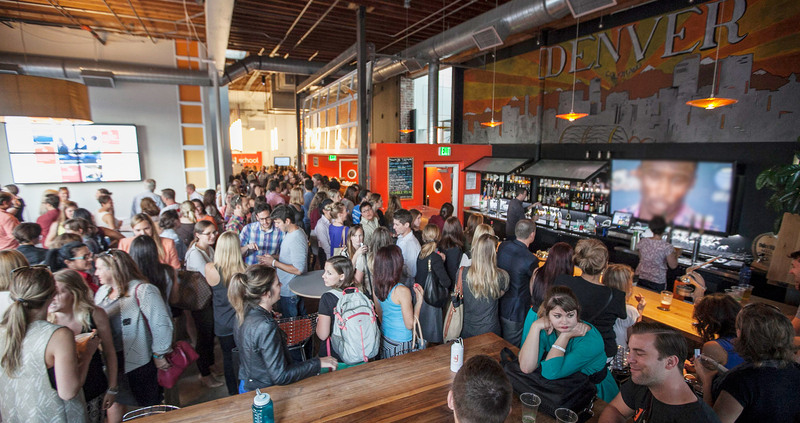 This particular photo was taken at Galvanize (Denver), a collaborative startup community and co-working space. Galvanize is a partner and sponsor of Women Who Startup. There are now multiple locations of Galvanize in Colorado, and also San Fransisco, and many more are coming in the future. So in short you could say that I use Fleep to communicate with clients, partners, sponsors related to my business and community development including my organization Women Who Startup. Any tips and tricks or habits that have formed due to taking Fleep in use or why you’d recommend it to others? I love using Fleep, I have the browser version and the mobile app on my iPhone. I check in on updates from people every few hours throughout the day. I don’t like notifications of any kind, because I’m so busy in meetings, events, and heads down work that I check in on my email or Fleep throughout the day. Is there anything you think Fleep is missing? I would say that it needs a LOT more integration with other apps. Stories such as Lizelle’s are not the only ones we have from our users, if you’d like to get more stories like this in the future as well, feel free to follow us on Twitter (#fleepstories) or Facebook and check out the rest of the stories. Until next time!